This is my second attempt at Gertie's elegant Butterick 6094 pattern. 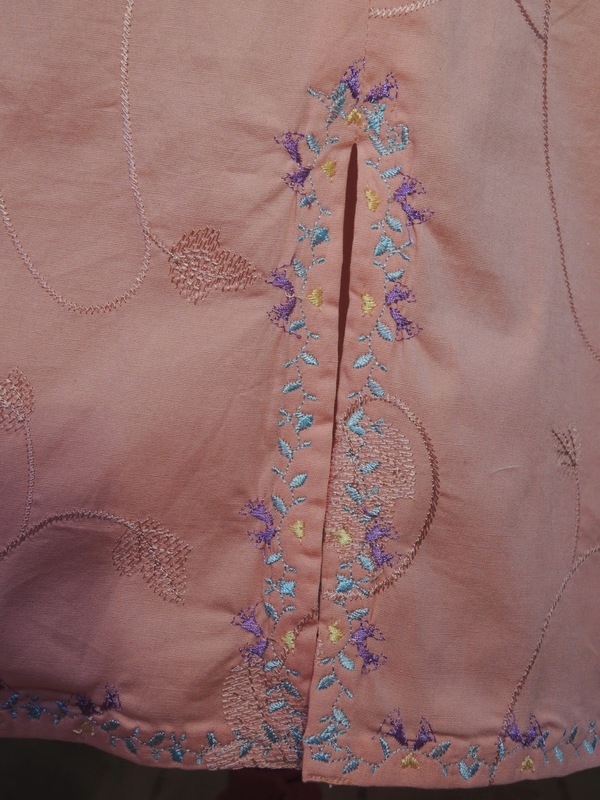 I chose a gorgeous embroidered corral stretch poplin fabric accented with a special vintage print. The design of this dress is exquisite! I adore this vintage novelty fabric I found years ago at a yard sale of a 97 year old woman whom passed away after a life of artistic work. 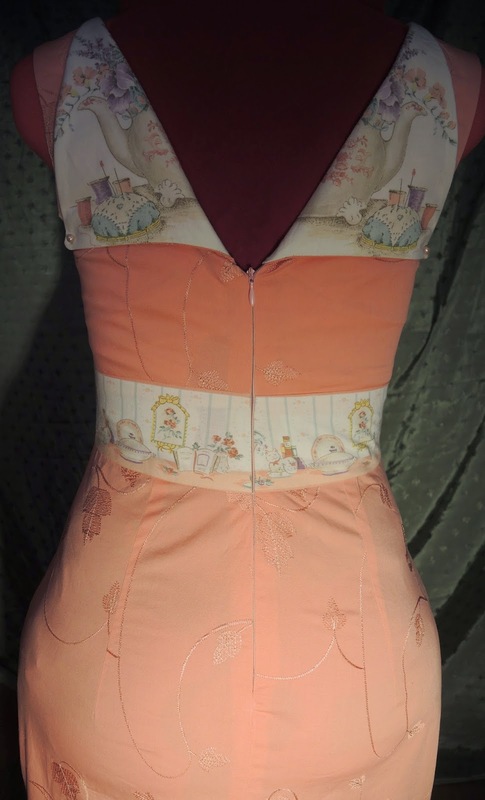 Utilizing fabric placement to emphasize sewing motif reminding me of Gerie's sewing books which make home sewing look fun, relaxing, while eating chocolate, sipping tea, and laughing with good friends - PURE BLISS!!!!!!!!! 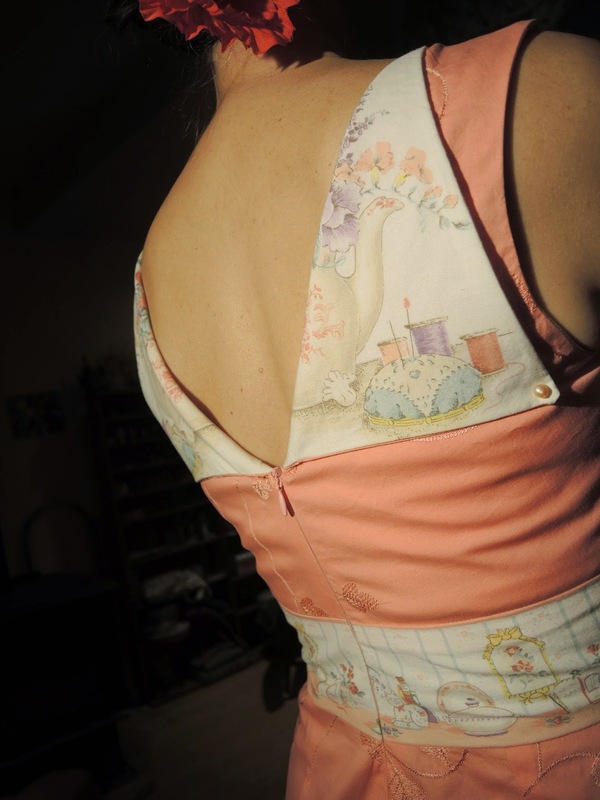 I made a sway back adjustment as well as adding length and width to the back skirt darts to fit my derriere. 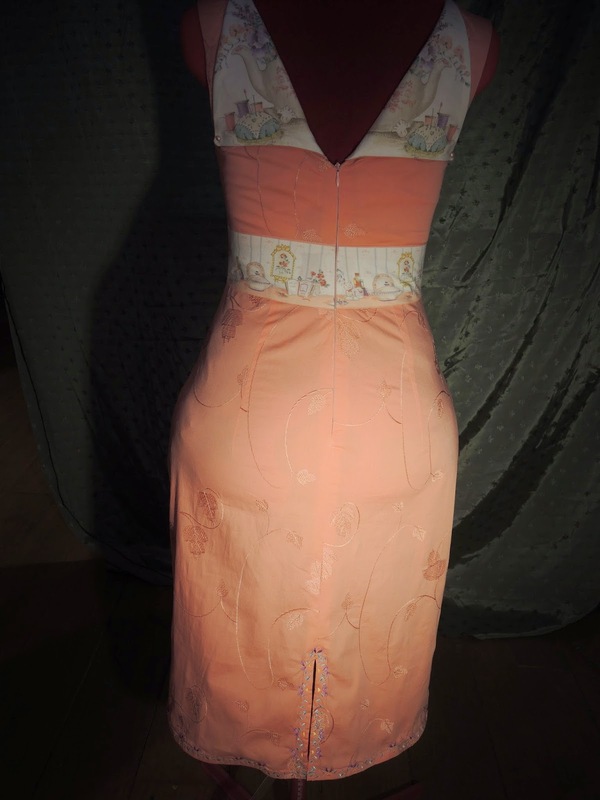 I unified the dress with topstitching on neckline and hemline drawing colors from novelty print at midriff and back collar. 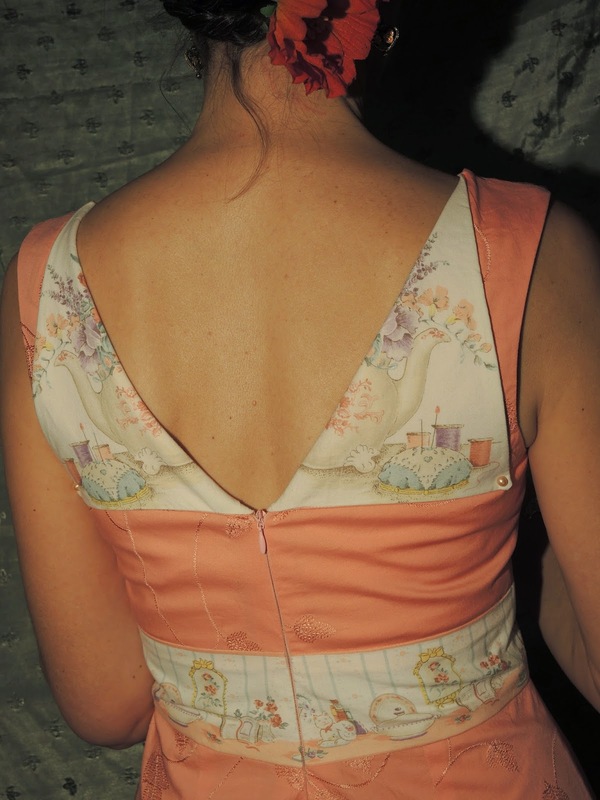 I lined the dress with a luxurious silk charmeuse. 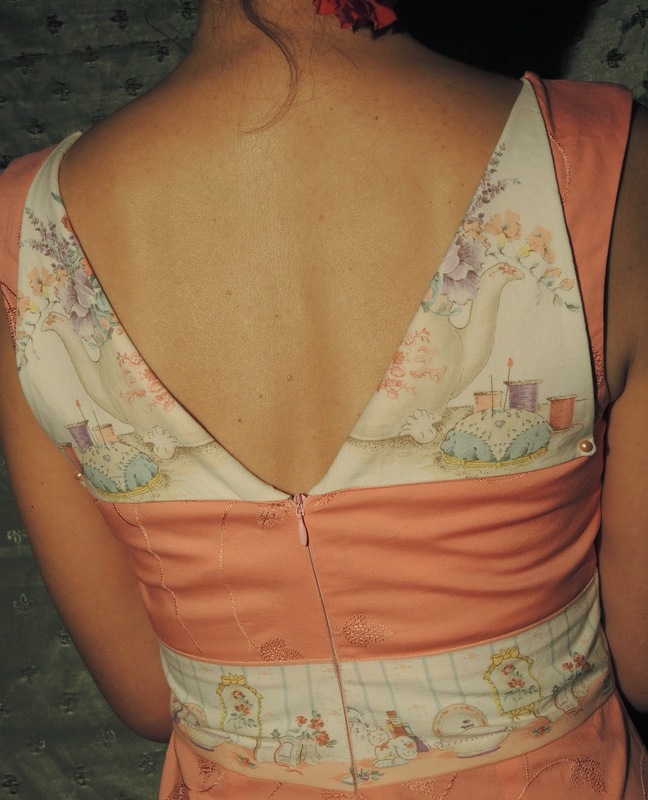 Accented the back collar with corral colored pearls. I made a small bust adjustment and lengthened the bodice an inch to get the fitting just right. Each day bringing something new to birth."